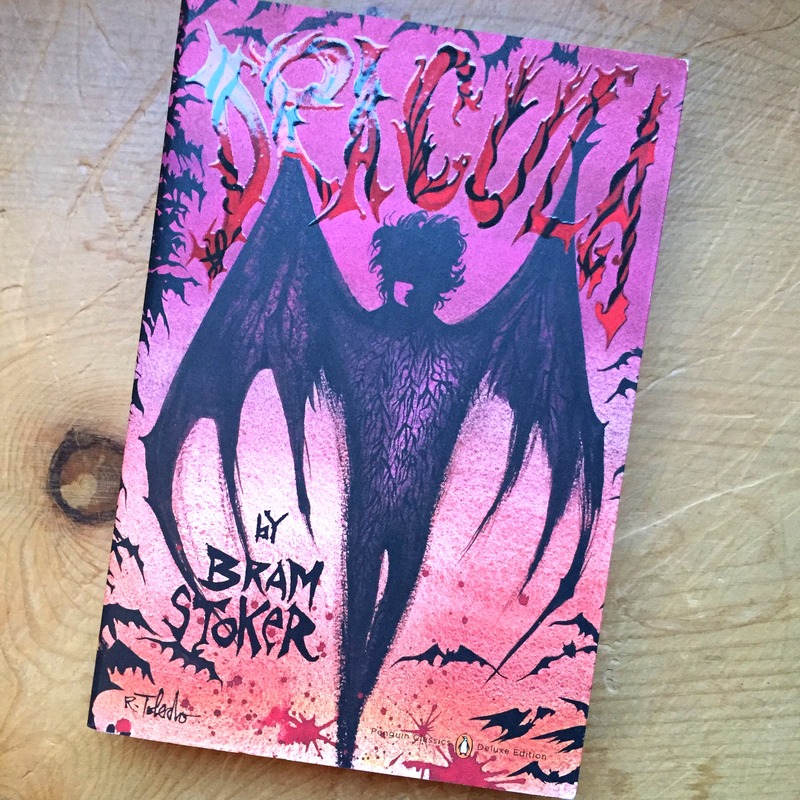 Vampire stories originate in centuries old legends from eastern Europe, made it into literature with a now little-known novel by John Polidori but hit the big time with the perennially popular Dracula by Bram Stoker in 1897. Other vampire stories, spinning off into werewolves and the like, have proliferated since with teenage vampires, Hammer House of Horror vampires and even a semi-reformed vampire hospital porter who flatshares with a ghost and a werewolf. But Dracula is still the best for a Hallowe’en read under the covers or by the fire on a stormy night. And I love this edition from Penguin, all French flaps and deckle edges. One for your Christmas list. This entry was posted in Random... and tagged Dracula, scary books, vampires. Bookmark the permalink.